SAN FRANCISCO—The Judicial Council today endorsed a cost-cutting direction for court construction statewide, including the reassessment of 13 projects and further construction budget trimming on 24 projects. The council approved recommendations from the Court Facilities Working Group that are expected to yield significant, long-term savings throughout the $5 billion program. Thirteen projects, with a current combined project cost of $1.1 billion, will be reassessed for significant savings options, including downsizing square footage, undertaking renovations instead of new construction, evaluating lease options, and using lower-cost construction methods where feasible. The reassessment timeline will vary for each project. Another 24 projects, worth $3.2 billion overall, will proceed with mandated construction budget cuts of at least 2 to 10 percent, over and above the 4 percent reduction directed by the council in December 2011. Seven projects have been designated as models for lower-cost construction methods, such as tilt-up construction. For more details, see the news release on the California Courts website. Audit Report of Mono Superior Court: As part of its statewide initiative to improve judicial branch accountability and transparency, the Judicial Council reviewed and accepted an audit report on the operations of the Superior Court of Mono County, at the recommendation of the Advisory Committee on Financial Accountability and Efficiency for the Judicial Branch (A&E). The report is now posted to the California Courts website to enhance public access. The audit of the two-judge trial court identified various issues, including positive controls and those that need improvement, such as the need for improved practices for procurement, contracting, and expenditures. The A&E Committee reported that the issues noted in the audit are being addressed by the court. Judicial Branch Contracting Manual: Adopted proposed revisions to the Judicial Branch Contracting Manual and directed staff to report in August 2012 about further revisions to the manual. The proposed revisions will make the manual more effective and workable for judicial branch entities in their procurement and contracting activities. Funding for El Dorado Superior Court: The council approved one-time funding of $81,128 for fiscal year 2011-2012 and $88,192 for fiscal year 2012-2013 for operational and security needs for the remodeled El Dorado Superior Court juvenile facility. The council previously approved funding for this facility, expected to open June 11, 2012, but it has taken longer than expected for the work to be completed. After a lively discussion on the proposal, the council voted 14 to 2 to grant the one-time funding to the court. 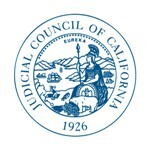 Chaired by Chief Justice Tani G. Cantil-Sakauye, the council is the administrative policymaking body of the California courts. The meeting agenda and reports are available on the California Courts website.